Does your dealership want the ability to create custom banner promotions on specific in-stock inventory or segments? eDealer’s bulk promotions feature is designed to save you time and solve the complex nature of highlighting retail offers using leaderboard banner creative on specific inventory, groups of inventory or trims. – If you are adding a leaderboard to a single inventory piece, a group of inventory or all inventory. – If you would like the leaderboard to be added above, below or in the description on the VDP as well as above or in the description on the VLP. Once complete, you will be able to schedule when the banner update should take affect and when it should expire. 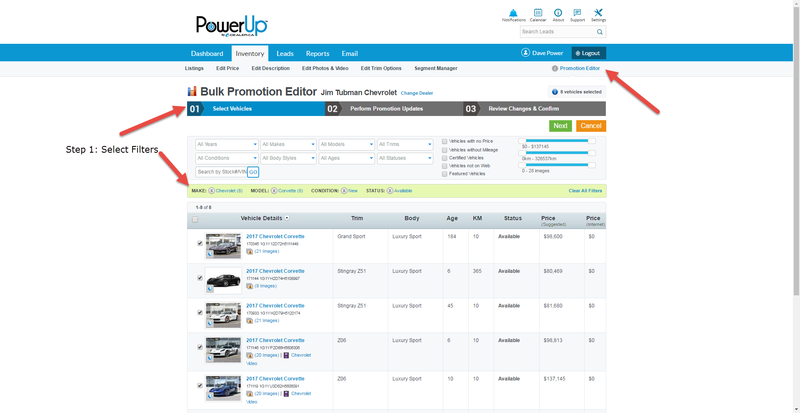 Interested in adding this feature to your dealership website? 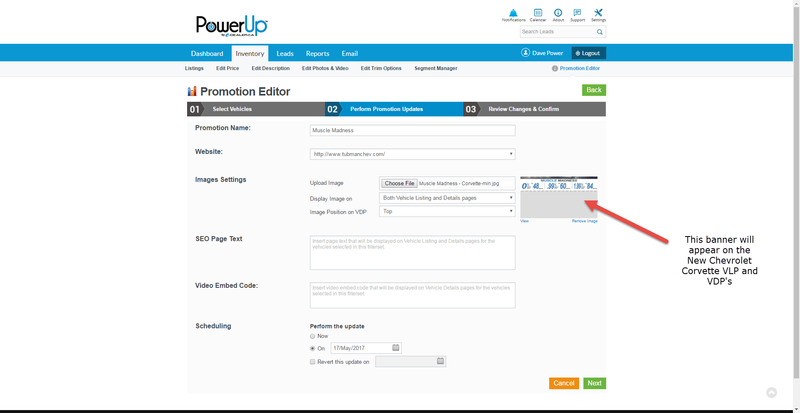 Get in touch with our support team who will help get you up-and-running with our new Bulk Promotion Editor!